Update: This fare war is spreading to Los Angeles airports where we are seeing similar low fares. Both cities are fun cosmopolitan capitals with much to see and do– rich history, robust food scenes, nice hotels and even nicer people. Plus, you’ll find cool weather due to high altitudes- Guadalajara’s elevation is 5,140 feet above sea level. Mexico City is even higher at 7,350 feet. In early August, Alaska Airlines jumps into the SFO-Mexico City market, and it’s offering introductory fares of just $320 round trip. That’s quite a good deal during peak summer travel season. Volaris and Aeromexico are offering similar $300-ish roundtrip fares. First class fares on Alaska are $637. UPDATE! Today Alaska Air launched a one day fare sale, with fares as low as $240 round trip between the Bay Area and Mexico City! And this is during peak summer travel season in August. Check this out… only good today, Tuesday, July 11 til midnight. 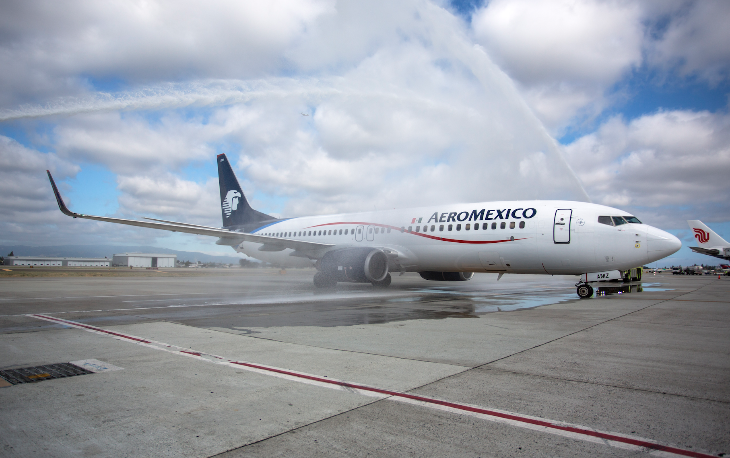 This week Aeromexico kicks off new nonstops between San Jose and Guadalajara. It’s an increasingly crowded route– Aeromexico’s nonstop joins Alaska Airlines and Volaris (a Mexican low-fare carrier) on the route. All that competition means cheap fares from all Bay Area airports– as low as $291 round trip from SFO or SJC. First class fares are relatively cheap, too, at just $566 round trip. UPDATE: Volaris has dropped fares on SJC-GDL or SFO-GDL to as low as $221 round trip. Delta SkyMiles members should keep an eye on those Aeromexico fares- you’ll only earn 50% mileage (about 1,500 miles) on the cheap fares- but hey something’s better than nada. Note: Fares were available on Google Flights on Monday, July 10 and subject to change. And if you are looking for even better deals, keep an eye on these routes as we enter the slower fall months. More competition could lead to lower fares. I’m ready to go back! 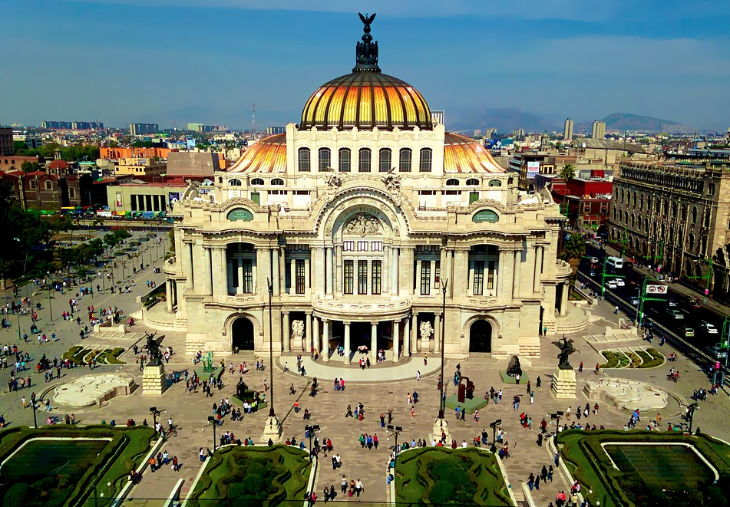 Have you or would you fly to Mexico City or Guadalajara? Several factors are coming together in 2017 to make this one of the busiest summers ever for vacation travel: tough fare competition among airlines, low fuel prices, and an improving economy. But don’t make the mistake of waiting too long before you firm up your plans. But increased demand means those flights will fill up fast, and so will the most desirable hotel rooms and rental cars. So as soon as you’ve settled on a destination and approximate dates (flexibility in your days of travel can work to your advantage), get on your mobile phone or laptop and start investigating options for all the elements of your trip. 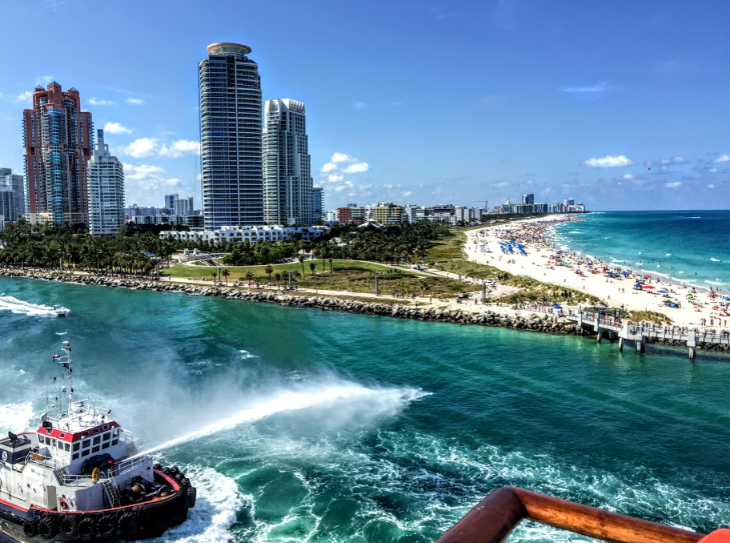 A delay in planning and booking could mean settling for a connection instead of a non-stop flight, a room facing the parking lot instead of the ocean, and a rental car that’s bigger or smaller than you really need. Keep in mind, too, that prices for the various elements of your vacation are likely to increase the longer you wait. Airfares, hotel rates and rental car prices are not fixed; they change every day based on fluctuations in supply and demand. So as more air seats, rooms and cars are booked up for the summer, the cost of the remaining ones tends to go up. 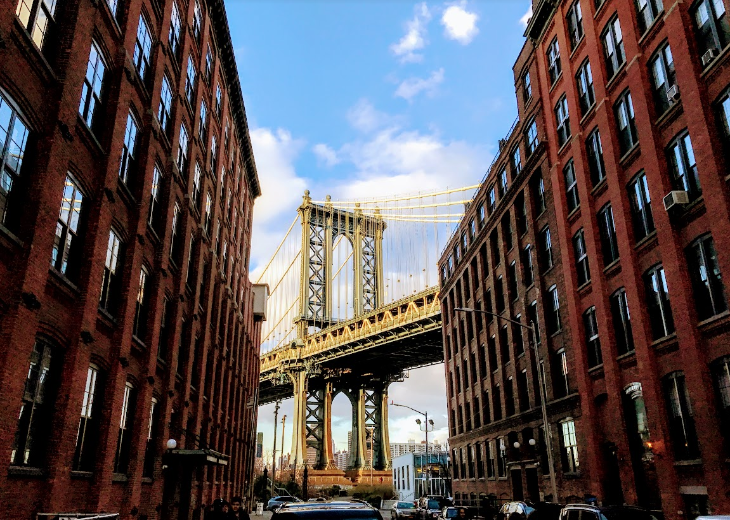 The peak time for summer vacations is July through mid-August, so you might save some money and find greater availability if you schedule your trip before or after those times – before June 15, say, or after August 15. Got a big international trip in mind? There are several new non-stop destinations from Mineta San Jose in 2017. Last year, British Airways started flights from SJC to London, Lufthansa began flying to Frankfurt, and Air China added non-stop service to Shanghai. If you want to head south of the border, look for new Aeromexico daily flights to Guadalajara beginning July 1- the city’s high altitude makes for a cool summer destination. To the north, Air Canada’s service from SJC to one of Canada’s hottest destinations – Vancouver – will be increased with a third daily roundtrip starting May 2. Closer to home, there are lots of new options. If the Big Apple is on your wish list, both United and Alaska Airlines started daily flights to Newark in March. United also added daily SJC-Chicago O’Hare service. If southern California’s your preference, JetBlue recently started four flights a day from SJC to Long Beach, and Alaska last month introduced three flights a day to Burbank (both of them nice alternatives to overcrowded and under construction LAX). Southwest will add San Jose-Reno to its network on June 4, with one daily roundtrip. And American Airlines will kick off seasonal daily flights from SJC to its Charlotte hub on May 5. So get off the fence, check your calendar, and nail down your summer vacation plans before it’s too late. 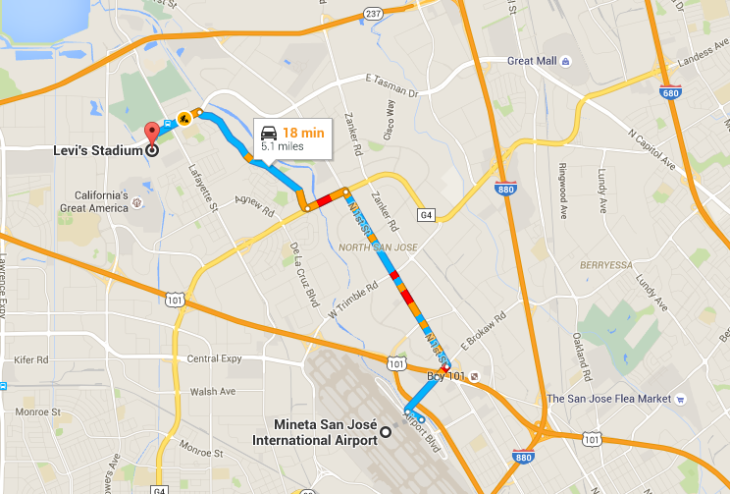 Have you flown in or out of San Jose lately? Why or why not? Are you more likely to give SJC a try now that it’s added this slew of new flights? Please leave your comments below. Bay Area business travelers are seeing new flights at all three major airports in the region as passenger traffic keeps increasing, but one of them is adding new capacity at a faster rate than any airport in the country. 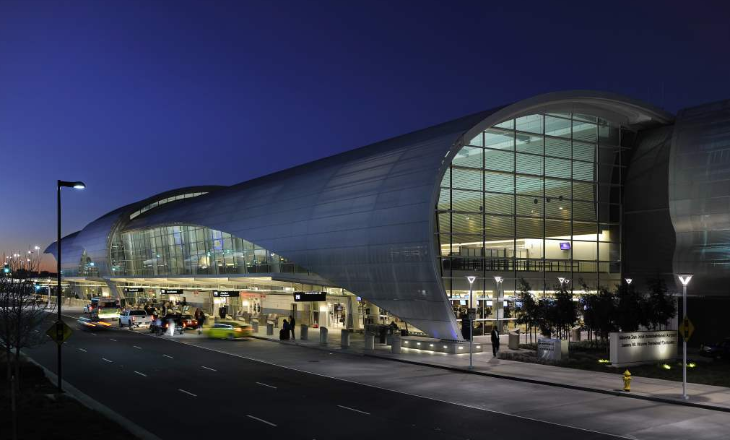 That airport is Mineta San Jose International (SJC), where total passenger traffic last year soared above the 10 million mark to 10.8 million, a gain of more than 10 percent over the previous year. For international passengers, the annual increase was more than 68 percent over 2015 as more carriers added transatlantic and transpacific service from SJC. The number of airline seats flying in and out of SJC during March was up almost 20 percent over the same month a year ago. The average increase for U.S. airports was under 5 percent. The capacity boom at Mineta San Jose is continuing this month with new transcontinental service – in fact, the same route — from two airlines. March 9 was the launch date for United’s new daily non-stops to its Newark Liberty hub, and three days later, Alaska Airlines inaugurated its own daily flights to EWR. United also started up twice-daily service to its big hub at Chicago O’Hare. You can find more details about new San Jose routes here. With the tremendous growth in the nation’s technology sector, Mineta San Jose is positioning itself as the gateway airport for Silicon Valley business travelers, since the companies that collective name refers to are mostly just a few miles up the Highway 101 from SJC in towns like Sunnyvale, Mountain View and Palo Alto. It’s closer not only in highway miles, but especially in drive time thanks to its distance from the congested San Francisco peninsula (and its crowded airport). Those new transcons from United and Alaska are just a few of the new services coming to SJC in late winter and spring. In mid-March, Alaska added California Corridor service between Mineta San Jose and the Los Angeles area’s uncrowded Hollywood-Burbank Airport, with three daily roundtrips. And in May, SJC will welcome seasonal daily service from American Airlines to its Charlotte, N.C. hub, as well as a third daily roundtrip to Atlanta being added to Delta’s schedule. On June 4, Southwest is due to begin daily roundtrips from Mineta San Jose to Reno. And later this year, Alaska Airlines will begin new daily E175 service from SJC to Austin and Tucson (both starting August 28), and four flights a day to Los Angeles International (beginning September 20). More international flights are coming as well. Aeromexico is set to start flying once a day from SJC to its Guadalajara hub on July 1. And on May 2, Air Canada will add a third daily frequency to its SJC-Vancouver route. That’s all in addition to the big bump in international options for business travelers that came to SJC last year, including Air China’s non-stops to Shanghai, British Airways’ flights to London Heathrow, and Lufthansa’s to Frankfurt. It’s easier than ever now for South Bay road warriors to get to Europe or Asia from SJC without a connection. 2 A slew of good comments- Game over for American Express card gamers? 3 Ummmm, yesss! Are airport lounges getting too crowded? 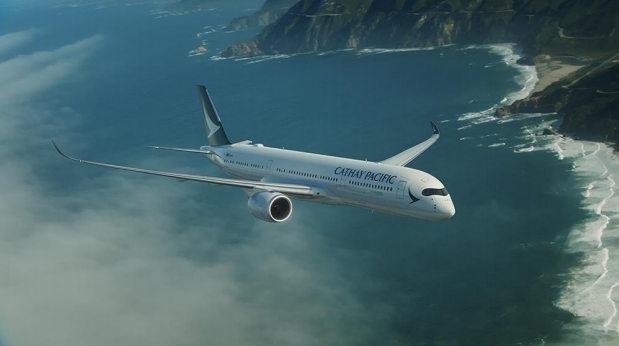 This week Cathay Pacific announced that it would add a THIRD daily SFO-Hong Kong nonstop on October 29 using an Airbus A350, its first deployed in the U.S. The new jet will offer Cathay’s newest business class, premium economy and economy class seating (no first class). What’s really nice about this plane? It burns 25% less fuel (with corresponding reduction in emissions) and its carpet and blankets are made with nylon and plastic recycled from bottles and salvaged fishing nets, which pose a threat to marine life. Even better, this will be the first Cathay plane to offer inflight wi-fi– essential for those 12-14 hour flights to Hong Kong! Emirates, Etihad on the verge of a merge? Why are new planes still delivered with ashtrays? 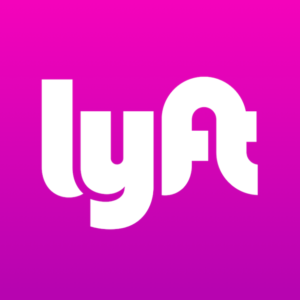 Get the app and get $10 off your first Lyft ride! With major U.S. airlines adding more flights at Mineta San Jose International this winter and spring, and with international flight options taking off, the airport has been making substantial improvements to handle increased passenger traffic. A new route for JetBlue between SJC and its Long Beach focus city, where it started operating four daily roundtrips during the first week of January. 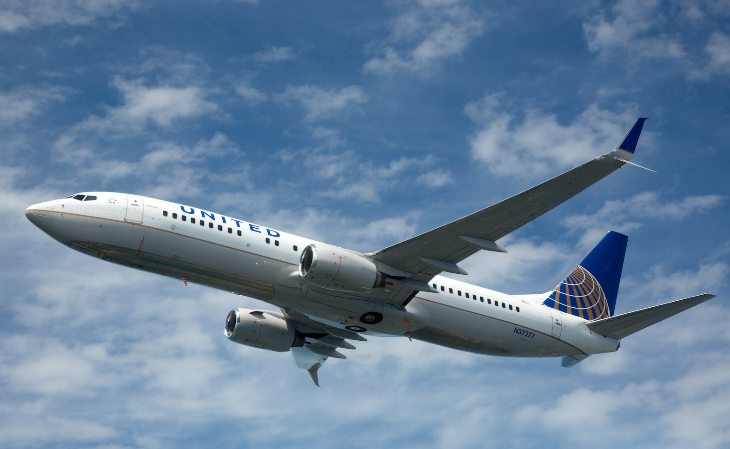 A pair of new nonstops for United Airlines, both starting March 9. United will begin twice-daily flights to its big hub at Chicago O’Hare, and one daily roundtrip to its East Coast hub at Newark Liberty International. United will use 737-800s on both routes. Staking a bigger claim in California, Alaska Airlines will inaugurate new transcontinental service on the SJC-Newark route on March 12, operating one daily roundtrip, followed by new intrastate service three times a day from San Jose to Hollywood-Burbank beginning March 16. These are the fourth and fifth new Alaska Airlines routes at SJC since late 2015, giving the carrier a total of 16 destinations. On May 1, Air Canada is due to add a third daily frequency between San Jose-Vancouver. American Airlines’ seasonal service between San Jose and Charlotte is set to resume May 5. 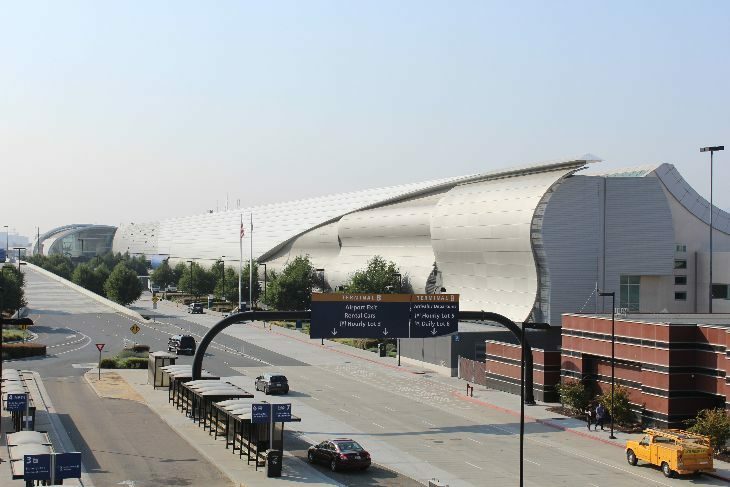 Delta will boost its presence at San Jose beginning May 25, when it expands its schedule to Atlanta Hartsfield-Jackson from two flights a day to three. And Southwest will kick off daily San Jose-Reno service June 4. Even without these new flights, SJC has been experiencing healthy growth in passenger numbers. Through the first 10 months of 2016, the domestic passenger count topped the 4 million mark, an increase of more than 7 percent year-over-year. And thanks to new flights across both the Atlantic and Pacific, international traffic at SJC jumped more than 68 percent during that period. 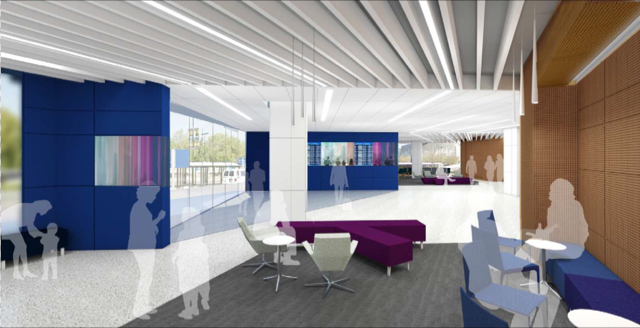 New and improved passenger amenities at Mineta San Jose make life easier for travelers. 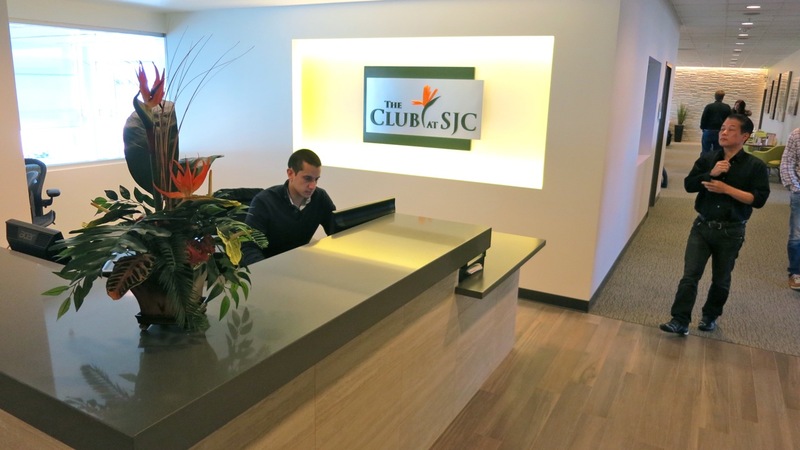 The three-year-old Club at SJC in Terminal A, a lounge open to all travelers on a paid basis and also a part of the Priority Pass network of airport lounges, was recently named the Priority Pass Airport Lounge of the Year for North America. International travelers at SJC are finding their lives a little easier thanks to recent improvements that help them to speed through passenger processing. Many domestic travelers rely on TSA’s PreCheck program to move through security screening more quickly, but now some international travelers at San Jose can also take advantage of that benefit: Lufthansa – which began San Jose-Frankfurt flights last summer – recently became the first European airline to begin participation in PreCheck. 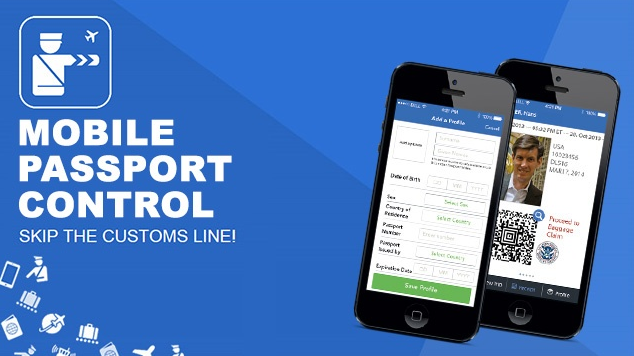 International travelers at SJC can now download Customs and Border Protection’s free Mobile Passport Control app on their phones or tablets and use it to submit their passport data and Customs declaration form to CBP. A coded electronic receipt shown to the CBP officer lets them move quickly through the arrivals process. And the airport also offers CBP’s Global Entry kiosks for international arrivals who belong to that trusted traveler program, allowing them to bypass lines. Also available at SJC are Automated Passport Control kiosks where arriving travelers can submit their entry information. And more enhancements are on the way. 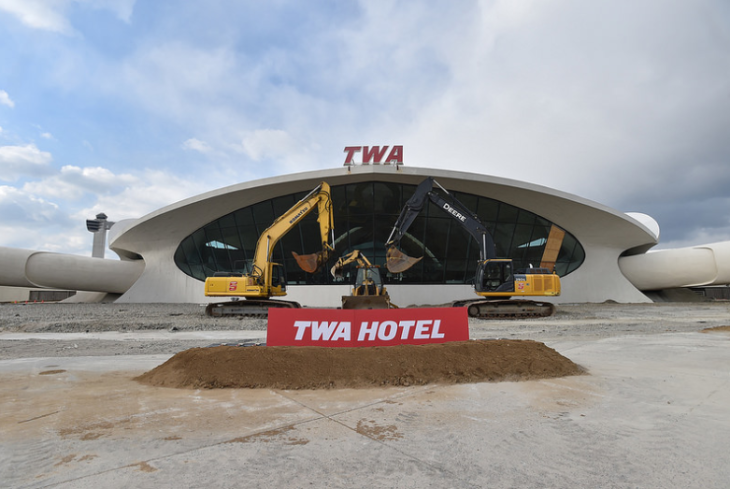 This spring, the airport is expected to finish a renovation of its International Arrivals Building that will add 5,600 square feet along with a second baggage carousel and an enclosed waiting area. On a lighter note, Mineta San Jose has garnered attention and acclaim for its recent deployment of three interactive customer service robots – an appropriate innovation for an airport that serves as the gateway to Silicon Valley. Even more interactive robots – smaller ones – are featured in the airport’s new play area for children in Terminal B.
Mineta San Jose International Airport is entering a real boom period, with both domestic and international airlines adding new routes right and left. With a growing regional population and a perfect location as the gateway to one of the world’s biggest technology hubs, Mineta San Jose is well positioned for continued growth into the 21st century. That technology hub, of course, is Silicon Valley. Some of the world’s leading tech giants have offices no more than a dozen miles from SJC, including companies like Apple, Google, Symantec, Intel, Cisco, Adobe Systems, Netflix, SanDisk and many more. Not only is a trip to Mineta San Jose a fraction of the distance to San Francisco International Airport for these companies, but SJC’s smaller size makes the airport experience less hectic for passengers (through the first nine months of 2016, SJC boarded fewer than 4 million passengers, vs. almost 20 million at SFO). With all those business travelers close by, and with its fast-growing, high-income population (San Jose is the 10th largest city in the U.S., and its metropolitan area has a median household income of $100,385), it’s not surprising that airlines are eager to accommodate that market. 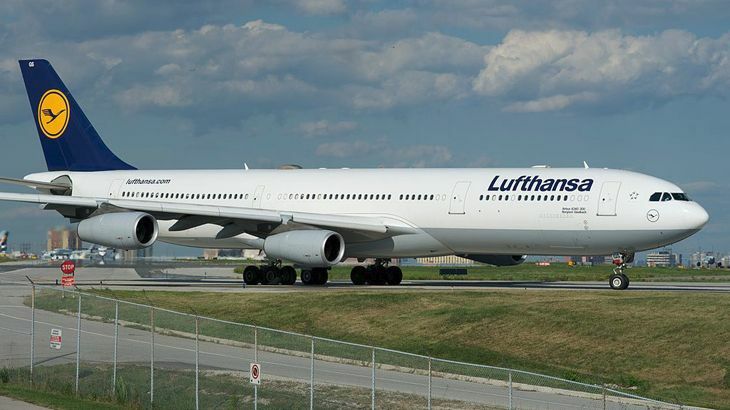 Lufthansa this past summer began flying non-stop to Frankfurt five times a week, using a 298-passenger, three-class A340-300. Through its Frankfurt hub, the German carrier offers connections to 100 cities in Europe and beyond. 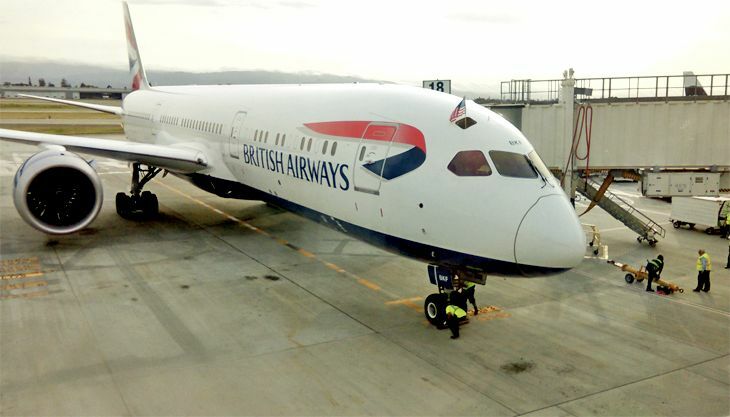 British Airways last spring kicked off the first non-stop service from SJC to London Heathrow, using a brand-new, 216-passenger, four-class Boeing 787-9 Dreamliner. It’s BA’s fourth destination in California, along with Los Angeles, San Francisco and San Diego. 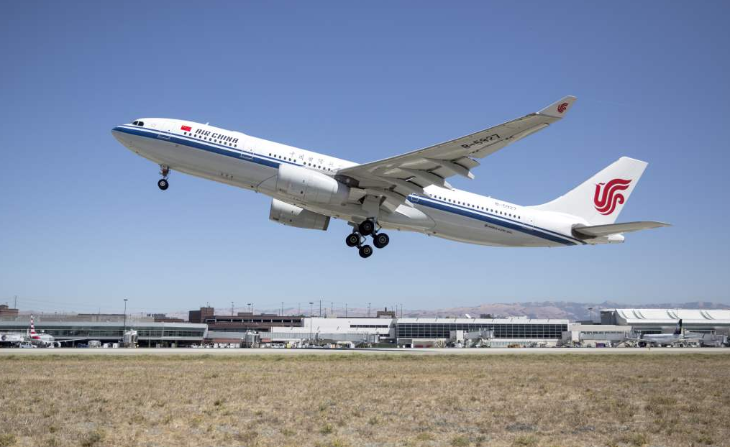 In September, Air China launched a new transpacific route from SJC to Shanghai’s Pudong International Airport, making San Jose the airline’s 10th North American gateway. The Chinese carrier uses a two-class, 237-seat Airbus A330-200 to fly the new route three days a week. SJC Aviation Director Kim Becker said the new route is expected to bring $65 million a year in economic investment to the San Jose area. It’s not as far away, but another new international destination for SJC that started this year is Vancouver. Air Canada last spring kicked off twice-daily service between the two cities, using Bombardier CRJ-705s. Airport officials noted that Vancouver is sometimes called Silicon Valley North, since more than 200 Silicon Valley companies have offices there. 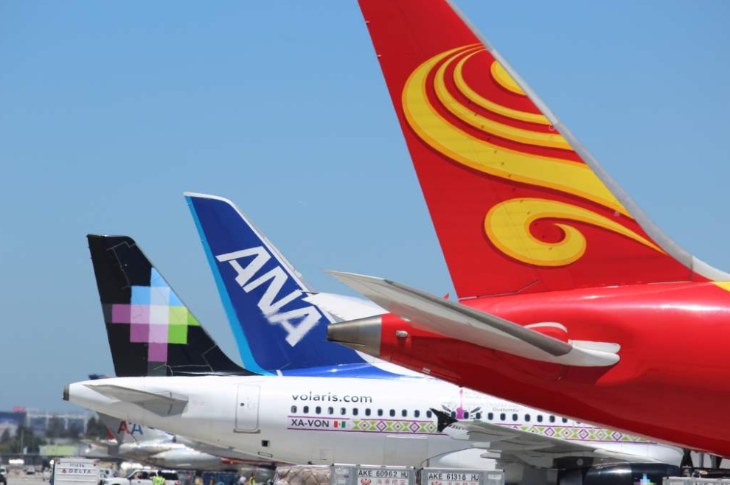 While the Lufthansa and British Airways flights represented SJC’s most recent transatlantic non-stops, it already offered transpacific service to Tokyo with All Nippon Airways (ANA) and to Beijing with Hainan Airlines. New domestic routes are also proliferating. San Jose got another new transcontinental flight last month, when Southwest Airlines began a daily roundtrip to Baltimore/Washington International. At the same time, Southwest also started new twice-daily SJC-Salt Lake City service. And American Airlines this past summer added daily seasonal service between SJC and its Charlotte hub. In March of next year, both Alaska Airlines and United Airlines are set to begin new daily non-stops from SJC to Newark Liberty International, and United will start twice-daily flights from SJC to its big Chicago O’Hare hub as well. In mid-May, Delta will add a third daily SJC-Atlanta flight. 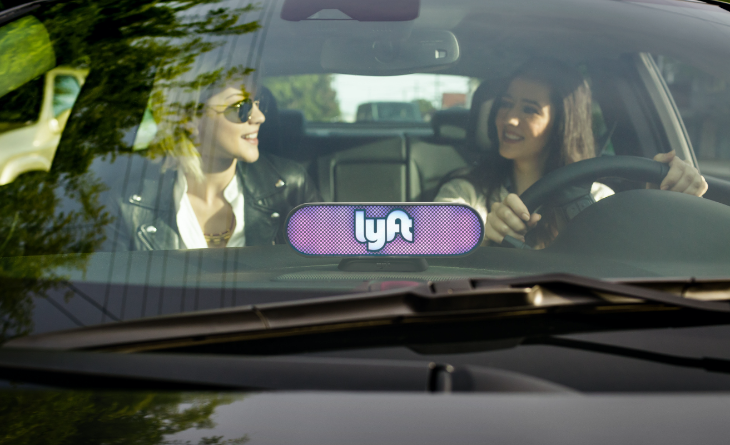 Intra-California traffic is also booming, attracting new service in the California corridor. 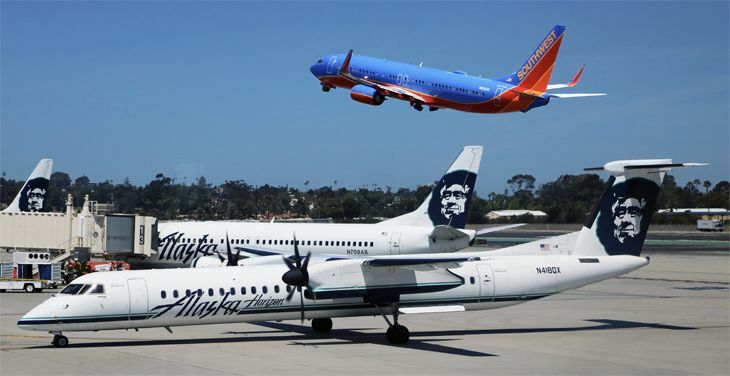 Last summer, Alaska Airlines started flying three times a day from SJC to both San Diego and Orange County’s John Wayne Airport. And on January 4, JetBlue will kick off SJC-Long Beach service, offering four daily roundtrips, followed by three daily Alaska Airlines flights to Burbank beginning in mid-March. San Francisco International Airport had the highest rate of international passenger growth among US airports last year, and continues to add new international flights at a dizzying pace. And it’s not just SFO that’s growing– San Jose and Oakland are picking up new overseas flights, too. This is most likely due to the strength of the Bay Area economy, and the need for better, faster access to the tech center of the universe. 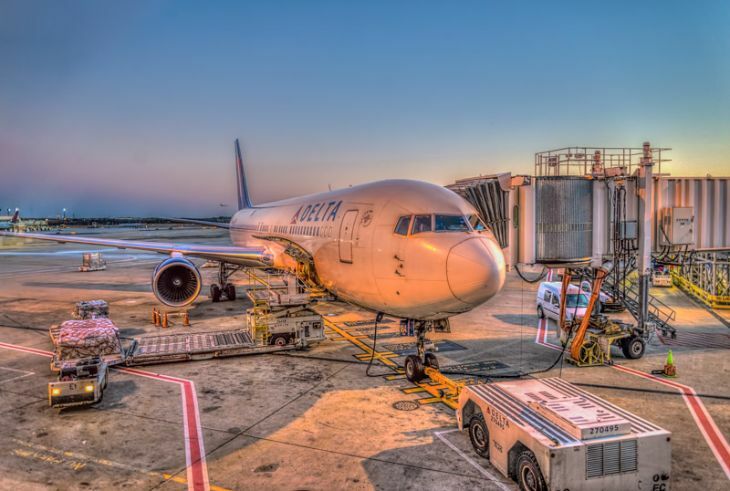 According to the International Trade Administration, SFO posted a 9 percent increase in international travelers in 2015, ahead of other major international gateway airports such as New York-JFK, LAX, and Miami. Much of the increased traffic to SFO and elsewhere in the US is coming from China which grew a whopping 25% in 2015. 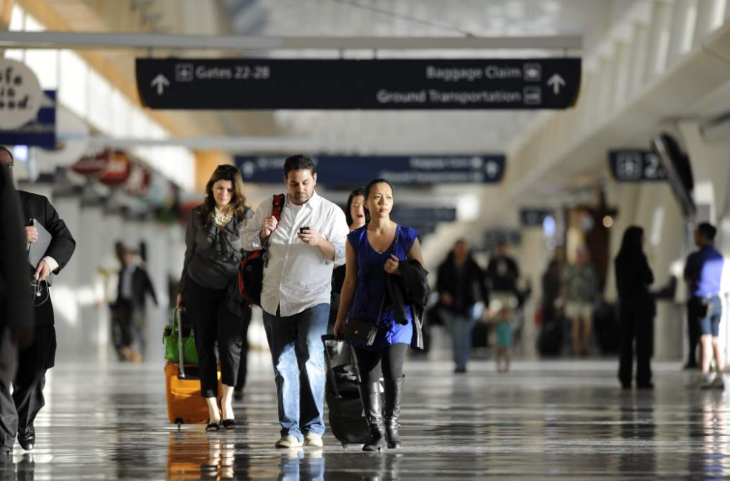 It’s not just SFO that is growing by leaps and bounds…so are other Bay Area airports. For example, San Jose International has recently snagged (or has pending) new 787-9 nonstops to London (British Airways), Frankfurt (Lufthansa), Beijing (Hainan) and Shanghai (Air China) in addition to its ANA nonstop service to Tokyo. 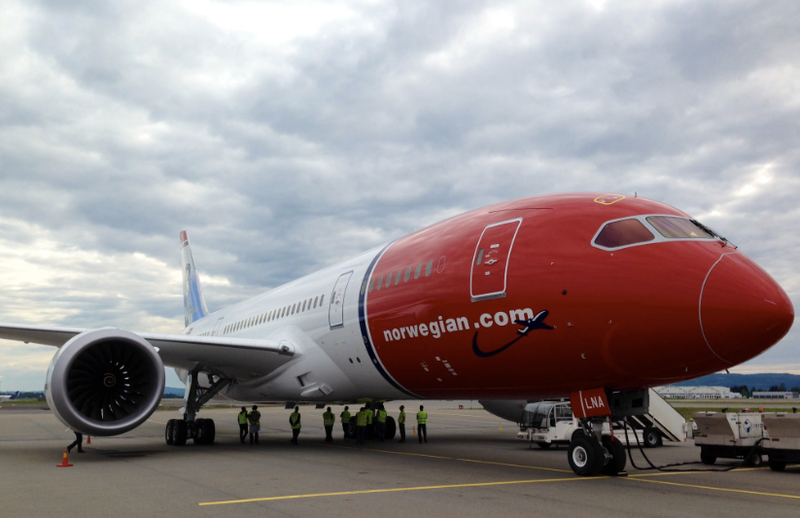 Oakland is on a growth spurt, too, with its major international carrier, Norwegian Air adding nonstops to London-Gatwick this June in addition to its flights to Stockholm, Sweden, and Oslo. All this new competition is very good news for frequent flyers. That’s because more flights and more seats usually mean cheaper fares. When it comes to this week’s big game, San Francisco seems to get all the attention. But Levi’s Stadium is actually much closer to San Jose (about 40 miles to the south) and the city’s Mineta San Jose International Airport is launching a fun campaign to promote itself as the clear winner when it comes to flying in or out of the Bay Area. The airport wants you to be a winner, too with a chance to win two free tickets to the big game on Sunday, February 7th. San Jose International is staking claim to the title of “Unofficial Airport to the Big Game” and launching an online promotion around it. The airport is encouraging users to share their “unofficial moments” about SJC for a chance at scoring game tickets in a giveaway that starts now with winners announced Friday, February 5 at 9 a.m. It is also giving away free t-shirts to participants all week. Need some inspiration? Check out what other players are tweeting here and here. 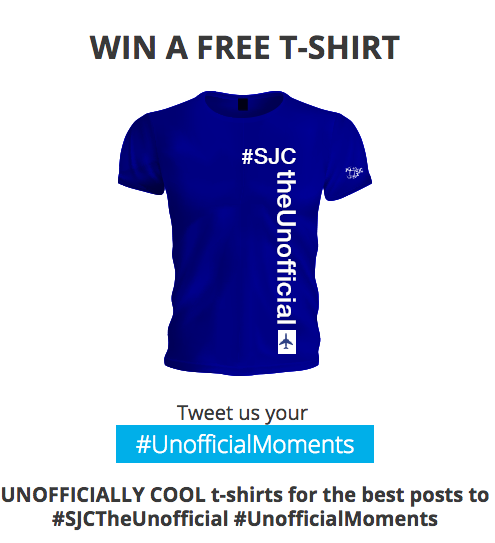 So remember: Just register on the SJC promo site and then share a tweet or a photo about SJC and include the hashtag #SJCtheunofficial or #UnofficialMoments for a chance to win. Then tune in to the site on Friday February 5 at 9 am to check on the winners! United improves front cabin meals. 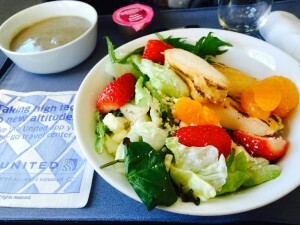 February 1 is United Airlines’ launch date for upgraded meal service in United First and United Business cabins on North American mainline flights of at least 800 miles. Transcontinental and Hawaii flights will get a new multi-course meal service with “heartier entrees,” United said, while flights of four hours to five hours and 19 minutes will offer three entree options instead of two. 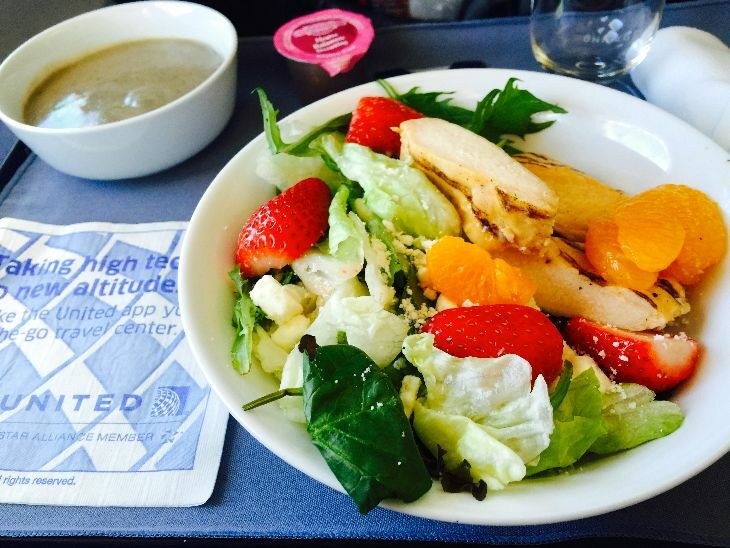 Meal flights of less than four hours will provide breakfast options like French toast souffle or steel-cut oatmeal with yogurt and fruit, and dinner choices like tandoori chicken instead of sandwiches. Also new on certain flights: Cookies baked fresh on board. Starting in March, United said, United Express premium-cabin travelers on flights of at least 800 miles will get fresh meals served on china instead of snack boxes; international long-haul economy flyers will see a new multi-course meal service; and new premium cabin menu choices will be introduced on p.s. transcontinental flights. Best Photo! Thanks to TravelSkills reader Tony Gouge who responded to the request for plane photos in our recent 6 Tips for Better Plane Pics post– one of our most popular “how to” stories so far this year. Tony said that he used a technique called HDR on this (High Dynamic Range) to get the effect you see in the photo at the top. Just in: Bomb threat leads to evacuation of Delta and Southwest jets at Hartsfield Jackson Atlanta Airport. Developing story. Bidding for upgrades on Virgin America. Over the last few months, Virgin America has been quietly rolling out a new program inviting certain Elevate members to bid for upgrades to unsold Main Cabin Select and first class seats about a week before departure. 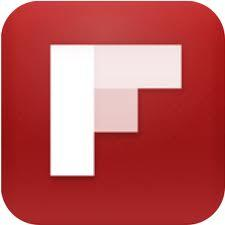 We have learned that Virgin is experimenting with a service called Plusgrade that several other carriers have utilized. Here’s a quick video showing how it works on Air New Zealand. Sounds like a nice idea, but don’t sit around waiting for that email asking for a bid. 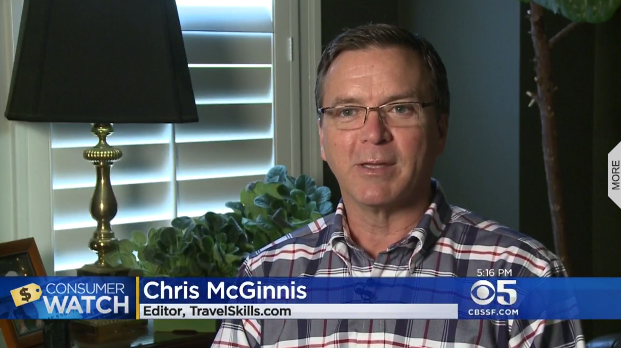 A Virgin spokesperson told TravelSkills that the program is available in some markets for select flyers only and, “We are testing to see how travelers react to it first before instituting a broader program.” At present there is no way to get on the email list. Have you been asked to bid on an upgrade on Virgin America? Did you make a winning bid? Leave your comments below. Double points on Virgin. Members of Virgin America’s Elevate loyalty program who register online will earn double points — or 10 per $1 spent — for travel from January 20 through March 31. Aer Lingus enhances SFO service. Bay area travelers will be the first to experience Aer Lingus’ new business class service starting January 28 on the carrier’s A330 non-stops to Dublin. The new cabins are coming this year to all of Aer Lingus’ A330 U.S. routes, including New York, Boston, Chicago and Orlando. You can check it out in this Youtube video. Meanwhile, the Irish carrier plans to boost SFO-Dublin service to daily frequencies (from the current five a week) on May 1, and to launch new Washington Dulles-Dublin flights four times a week on the same date. American Airlines’ new baby. On Friday, American Airlines flew its first Boeing 787-8 Dreamliner (N800AN) from the factory in Everett, Washington to Dallas/Ft Worth. As part of a massive (and much needed) fleet renewal program, AA has firm orders for 42 more of the efficient widebody. American expects its first 787 to enter revenue service in the second quarter, flying domestically between American’s hubs for several weeks before being launched on international flights. Delta downgrade? A blogger who specializes in scrutinizing Delta’s SkyMiles program says that Platinum elites are no longer eligible to request upgrades on the airline’s JFK-Los Angeles and JFK-San Francisco routes. The unannounced change would mean that only Diamond-level members can ask for upgrades on those plum routes. Anyone else encountered this new downgrade? Please leave your comments below. United eyes new aircraft type. United Airlines is reportedly considering switching some of its existing orders with Boeing to an aircraft type not currently in its fleet: the 777-300ER. The carrier is said to be thinking about adding 10 of the planes — Boeing’s largest twin-engine model — possibly in place of some 787s currently on order. United was the launch customer for the original Boeing 777 back in 1995; the company already has dozens of Airbus A350 widebodies on order. What’s your favorite long-haul aircraft type? Why? Post comments below. New China service from San Jose, Dallas. Silicon Valley workers might not have to go to San Francisco International to get a non-stop to China starting in June. That’s when Hainan Airlines plans to begin non-stop San Jose-Beijing 787 flights five days a week, subject to government approval. The airline already flies to the Chinese capital from Boston, Chicago and Seattle. Meanwhile, the trade journal Travel Weekly reports that Hainan has also filed for U.S. approval to begin non-stop service to Shanghai from Seattle and Boston … American Airlines has received Transportation Department approval for its planned Dallas/Ft. Worth-Beijing service, which will start May 7. AA will use a 777-200 for the daily non-stops. (Meanwhile, American is offering double miles for flights to Asia on AA and its partner Japan Airlines, for travel from now through March 20. Online registration is required.) Related: Did you see our story on the new high speed rail line between Beijing and Moscow? 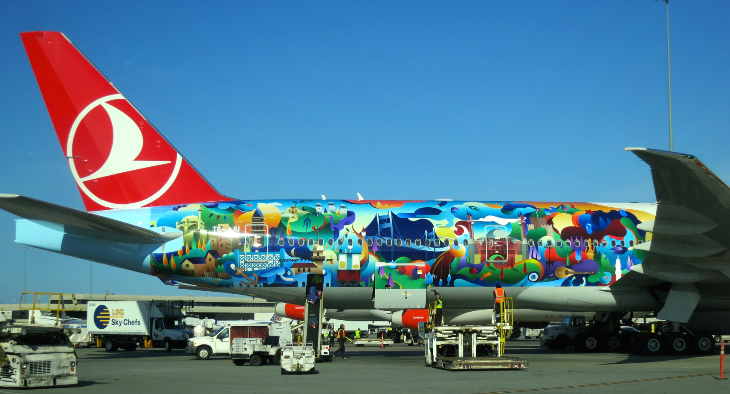 And finally… we bet you’ve never seen a 747 that looks like this one! Take a peek and let us know what you think! 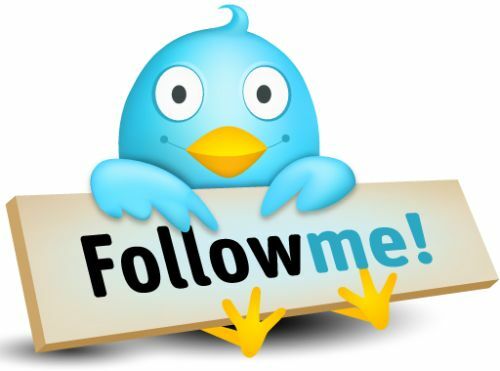 Back tomorrow with more of TravelSkills Weekend Edition! 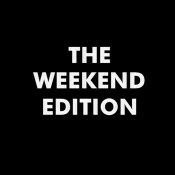 NOTE: We’ll spend this week catching up on several snippets of Bay Area travel news that have been accumulating in our inbox…. HERE COME THE A380s…Lufthansa has suspended its Airbus A380 operations from SFO to FRA for the season, but plans to return the double-decker aircraft to the route April 8, 2014. 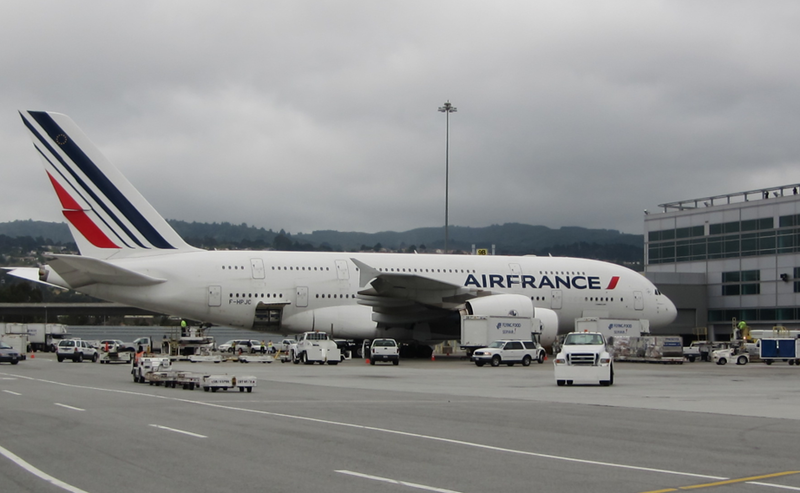 The bigger story is that Air France will deploy a 516-seat A380 on its SFO-Paris nonstops effective March 31, 2014. Last time Air France flew the A380 to SFO was the summer of 2011 when it switched the A380 reserved for the Paris-Tokyo run to SFO due to the earthquake/tsunami/radioactive disaster in Japan. Now we are hearing rumors about yet another A380 lumbering into SFO in the next year…any guesses? VIRGIN AMERICA LAUNCHES DOUBLE POINTS…In line with other airlines this fall, Virgin America is jumping on the double points bandwagon offering twice as many Elevate points per flight between now and the end of the year. All cabins and fares are eligible. Elevate members who’ve registered for the “Feel the Earn” offer can also get a boost of up to 25,000 bonus points based on their total qualifying points earned for Virgin America flights in all cabins during that time. Plus, to make the deal even sweeter, all the bonus points earned will count towards reaching or renewing Elevate Silver or Elevate Gold Status on Virgin America. Full details. 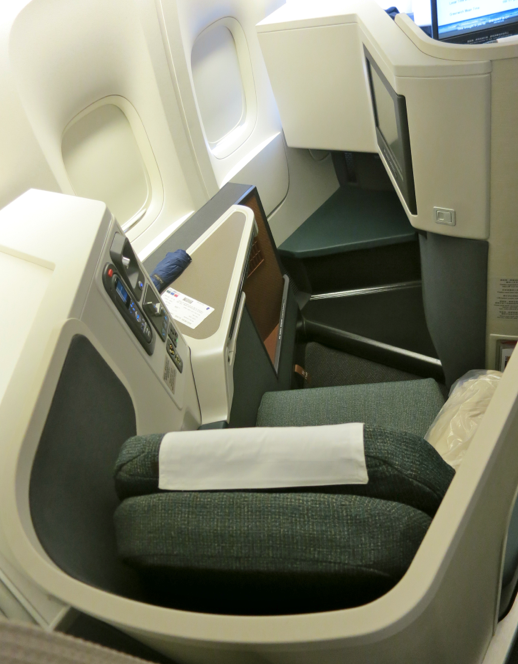 CATHAY PACIFIC DISCOUNTS BIZ CLASS TO HONG KONG…Fancy a trip to Hong Kong over the holidays? Well, Cathay Pacific just gave you a present. By booking before Dec 1, you can save up to $1,500 off the cost of a roundtrip business class ticket for travel during the heart of the holiday season– between Dec 23 and New Year’s Day– a period when most business travelers stay home. The roundtrip cost is $4,689 (all in) and is valid from SFO and other US gateways to HKG. If you prefer Cathay’s jumbo 747 from SFO to Hong Kong, remember that it’s only around for one more year. Starting in Oct 2014, Cathay will run only B777s on SFO-HKG. Here’s a previous BAT post on the pros and cons of Cathay’s 747 and 777. 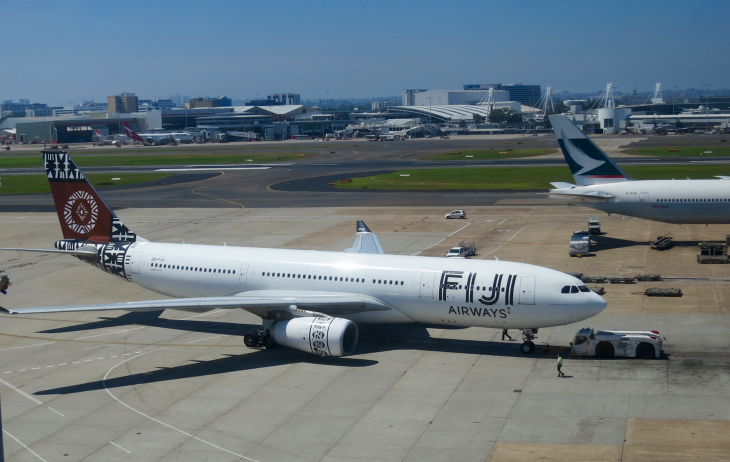 SAN JOSE HINTS AT NEW ASIA FLIGHT…The new director of aviation at San Jose Norman Mineta International, Kim Aguirre, announced that the airport is expanding its international terminal from two to four gates. She also noted that the ANA Dreamliner flight to Tokyo Narita is spurring interest from other Asian carriers, and that a new flight to Asia could be announced within the next 12 months. Wanna make any guesses as to what that city or airline that may be? SOUTHWEST BOOSTS SJC FLIGHTS…What is no secret, however, is that Southwest is planning bulk up its schedules from San Jose beginning April 8, 2014. One new nonstop to Denver, Orange County, San Diego, and Seattle will be added. Southwest currently owns about 50% of all flights to/from SJC. >Riding the Red Carpet Route to London! American + US Airways: mmeh! Neither carrier has a major presence at any the Bay Area’s three airports. For example, at San Francisco International, American has been cutting back for several years now, dumping flights to Honolulu in 2011 and Boston in 2010. Currently, it has about 30 departures per day from SFO to (Los Angeles, Dallas Ft Worth, Miami, Chicago and New York) which is a drop in the bucket when you consider SFO handles some 600 departures every day. When SFO recently revealed its top airlines in terms of market share for 2012, American and US Airways didn’t even show up. For 2012, AA and US took the 5th and 6th place positions for airline market share at SFO, with 6.9% and 3.5% shares respectively. However, combining the two carriers “as-is” would result in an airline about the same size as Virgin America, which has only about 9% of the market at SFO. American walked away from Oakland in 2008. It stopped flying to Tokyo from San Jose in 2006. Its famous “nerd bird” flights between San Jose and Austin disappeared in 2009, but it still offers a handful of nonstops between SJC and Los Angeles, Chicago and Dallas Ft Worth. US Airways operates just 14 daily departures to three cities from SFO’s Terminal 1: Phoenix, Charlotte and Philadelphia. From San Jose and Oakland, it only flies to Phoenix. A spokesman at SFO told TravelSkills that based on current usage at Terminal 2 by American and Virgin America, flights to cities currently served by US Airways could be folded into American’s operations there. 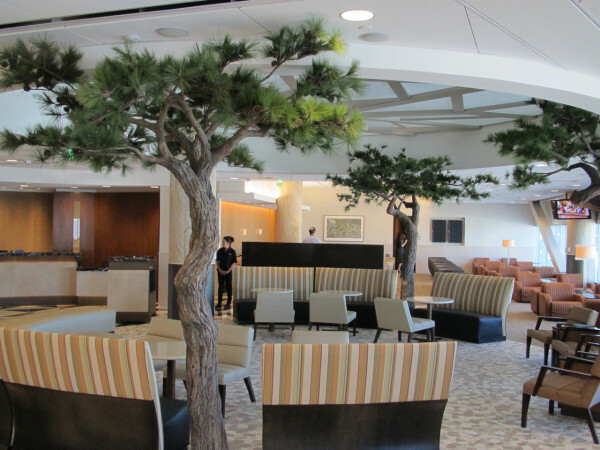 That means American’s swishy, but relatively quiet Admirals Club at T2 (complete with pine trees and a fireplace) could soon see a little more action from former US Airways Club members. On the upside, there are likely many TravelSkills Readers who still have large banks of American AAdvantage miles from back in the day when American was a major player here. Now, they will have the opportunity to use their miles to fly nonstop to cities served by US Airways. And if anyone out there has a few stray miles in both AAdvantage and Dividend Miles accounts, those will now be combined into a merged program and could amount to something. On the downside, United Mileage Plus members who earned and burned miles on Star Alliance partner US Airways will lose that option in the deal. In any case, despite the media hew and cry this week over this merger, don’t expect change to come fast—the deal will have to go through regulatory approvals first, which could take at least six months or more. Then begins the long painful process of trying to merge two unpopular old airlines into something new and attractive. Do you think they can pull it off? How will the American-US Airways merger affect you? How do you feel about having just four major US carriers: American, Delta, Southwest and United? Where does this leave our hometown carrier Virgin America? Please leave your comments below. 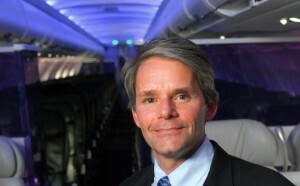 Virgin America CEO David Cush: Why San Jose? This morning, Virgin America announced that it will add four daily nonstops between San Jose International (SJC) and Los Angeles (LAX) starting May 1. Virgin CEO David Cush told TravelSkills that he has been actively engaged in talks with San Jose airport and civic leaders for the last 18 months. He said that while San Jose was more interested in Virgin adding long haul flights to the east coast, he wanted to test the waters at SJC with new flights to LA first. “With high fuel costs, adding new flights from San Jose to east coast cities is just too risky for us right now,” he said. Virgin will be entering the very crowded San Jose-LAX run, which is already served by four carriers: Low fare leader Southwest (which has pushed Virgin off routes such as SFO-Orange County), United (which dominates the Bay Area) as well as American and Alaska Airlines. Southwest flies a one-class 737 on the hour-or-so long route, United and American fly one-class regional jets, and Alaska uses a turbo-prop. 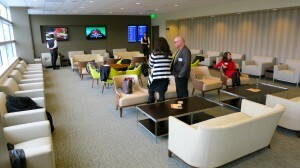 Another plus for business travelers: Virgin’s flights will depart from gates adjacent to the nice, new, $35-per-visit Club at SJC. Cush said that he would investigate how Virgin might team up with the lounge to offer special access elite-level members of the Elevate program. Another reason frequent travelers might consider driving down to San Jose to catch a plane to LAX: weather. “For example, this morning our flights at SFO are delayed at least an hour due to low visibility, but flights are running on time in San Jose. I think that many of our customers in the indifferent zone around Palo Alto are likely to opt for San Jose on days like today,” said Cush. This marks the first time Virgin has ventured south to the San Jose International, which its leaders have said suffers from “the Virgin effect”—referring to the popularity of SFO compared to airports in San Jose or Oakland due Virgin’s low fares—and those of its competitors. To entice Virgin into this fray, San Jose is waiving landing fees at the airport for one year– a savings of about $490,000 according to airport officials. San Jose Airport spokesperson Rosemary Barnes said, “We will realize increased revenue from more passengers who park on-Airport, spend at restaurants and shops, and increased passenger facilities charges (PFCs) which go back to reinvesting in our infrastructure.” San Jose offered similar enticements to ANA to snag its (currently mothballed) 787 Dreamliner flights to Tokyo. What do YOU think will happen? If you live on the peninsula or in the South Bay, will you choose Virgin to fly to LA from San Jose? Please leave your comments below. [pb_slideshow group=”2″] SLIDESHOW TEMPORARILY DISABLED. SORRY! (Tokyo, Japan) Wow. I’ve just flown across the Pacific on the world’s most advanced commercial jet– the Boeing 787 Dreamliner. 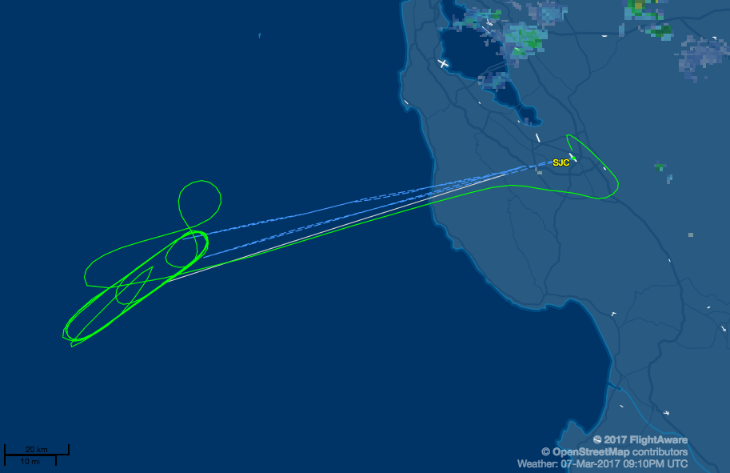 It is the only 787 currently flying out of the Bay Area (United’s 787 to Houston was only temporary), and the only transoceanic flight out of San Jose International Airport. And despite the recent concerns about the 787, I felt completely safe on this plane, as did all other passengers I spoke with. 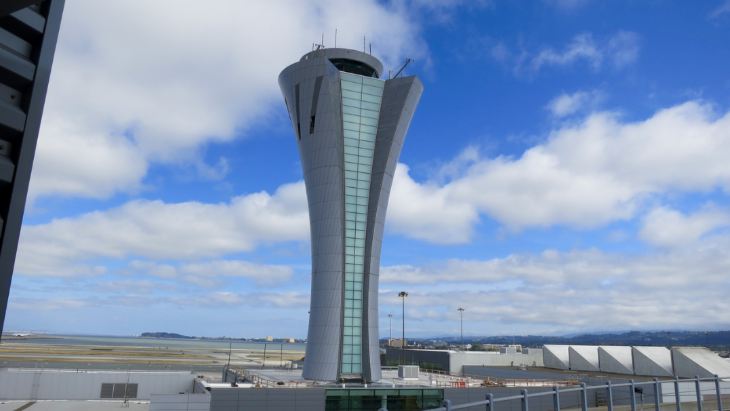 >I live in San Francisco, so I imagined that the 45-60 minute drive (depending on traffic) down to San Jose would be a pain– however, the quick and easy check-in, security and boarding process at SJC made up for time I felt I’d lost on the trip down. >The windows on the 787 really are bigger (by 20%)– it’s the first thing you notice when stepping on the plane. Instead pulling shades up and down, window seaters can adjust the tint electronically– sort of like Transitions Lenses. >I felt slightly more vibration from the engines on this flight, likely due to the plane’s composite structure. Also, seat cushions seemed harder than average. >The plane exudes spaciousness with higher ceilings and a wider fuselage– there just feels like there is more space, even in economy class. The extra-large business class section (46 seats) seems to take up half the plane. >Seatback inflight entertainment screens are big– 17 inches in business, 11 inches in economy. Both classes have 160 channels to choose from. >In business class, the BEST seats are odd numbered window seats, and even numbered center seats– check out the slideshow and you will see how a center seat on this plane is like sitting at the helm of Starship Enterprise. If you can put up with the commotion around the galleys and lavatories, bulkhead seats are the best of the best seats on the plane in terms of personal space. >The Dreamliner is relatively small plane: Only 158 passengers (46 business, 112 economy), which makes it the right size for smaller markets like San Jose. Compare that to a Boeing 747 which holds 350-400 passengers. End result? Boarding is fast and easy– it feels like a less crowded domestic flight. >Finally, there’s a window in the lavatory– and the Toto toilet has a heated seat with sprayer– you’ve got to flip through the slideshow above to see it! So whaddya think? Would you be willing to drive down to San Jose to give ANA’s 787 a try? If you live in the South Bay, will you be able to break out of your habit of driving to SFO to fly to Asia? Would you consider flying ANA to points beyond Tokyo? Please leave your comments below! Here’s the press release from San Jose Airport about the arrival of ANA’s Boeing 787 Dreamliner today. I’ll soon be on this big bird across the Pacific, and then return on an ANA Boeing 777 into SFO…and I’ll compare the ride. Which one do you think I’ll prefer?? 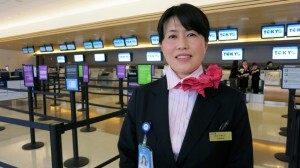 Yesterday, Japan’s ANA (All Nipp0n Airways) announced that it would bring nonstop service back to Mineta San Jose International airport starting this April. (American Airlines offered SJC-NRT nonstops until 2005). What’s most exciting about the announcement is that ANA will deploy the new Boeing 787 Dreamliner in the route. ANA is the launch customer for Boeing’s newest aircraft and the San Jose flights (as well as those to/from Seattle) will mark the first commercial Dreamliner flights in the US. Currently, ANA only flies the 787 on intra-Asian routes. So far, all we have is an announcement— There is no firm start date for the flights and when I checked on ANA’s website today, San Jose is not yet listed as an origin or destination city. Flying long-haul services to these two key West Coast destinations will enable ANA to maximize the Dreamliner’s efficiency and performance. The Dreamliner uses 20 per cent less fuel than similar-sized aircraft, making it the first mid-sized airplane capable of flying long-range routes, and offers new standards of passenger comfort because of its composite structure and interior design. ANA currently operates daily nonstop flights from San Francisco to Japan using Boeing 777-300ER with new “Inspiration of Japan” interiors.